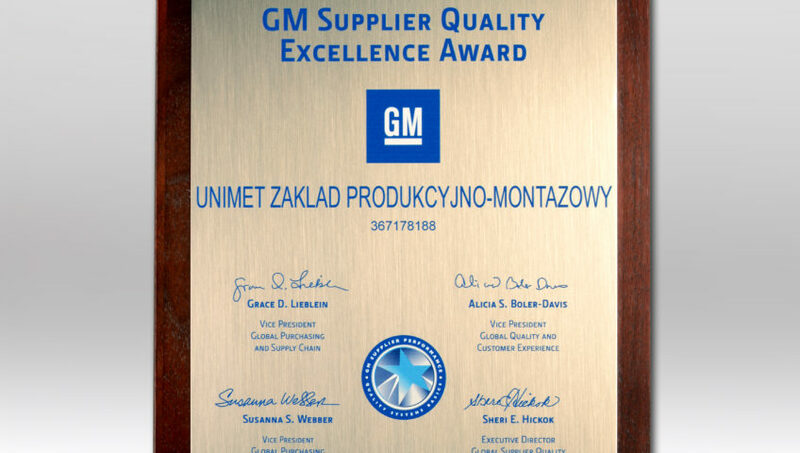 We have a pleasure to inform you that we have received a prestigious GM Supplier Quality Excellence Reward for excellent quality performance in 2014. – fulfilment of 13 specific requirements that confirmed the achievement of the top result. Thus, we joined a group of over 1500 GM suppliers in the whole world which have received that prestigious reward in the recent 12 months.